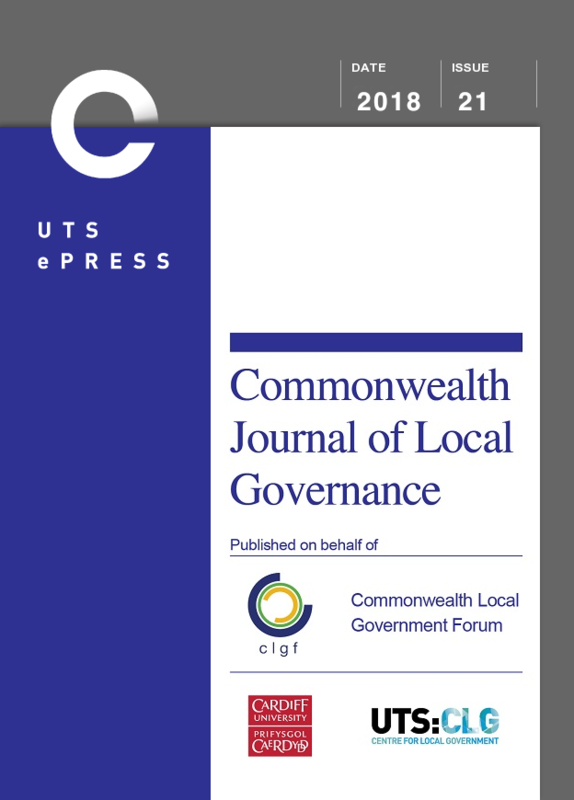 A peer-reviewed journal that aims to strengthen the research voice of local government in the Commonwealth by providing a forum for researchers and practitioners interested in local government ideas and practices. Its overall focus is upon improving local governance and supporting local government as an agent of development. The journal is auspiced by the Commonwealth Local Government Forum (UK), edited by Cardiff University (UK), and published by the UTS Centre for Local Government.